Vietnamese food is loved by many across the country and NWA is no exception. The mainstay of most vietnamese dishes is rice in a variety of forms including steamed, sticky, noodles, porridge and pancakes. Other common ingredients include fish sauce, herbs and meats like pork, beef, chicken, and fruit. 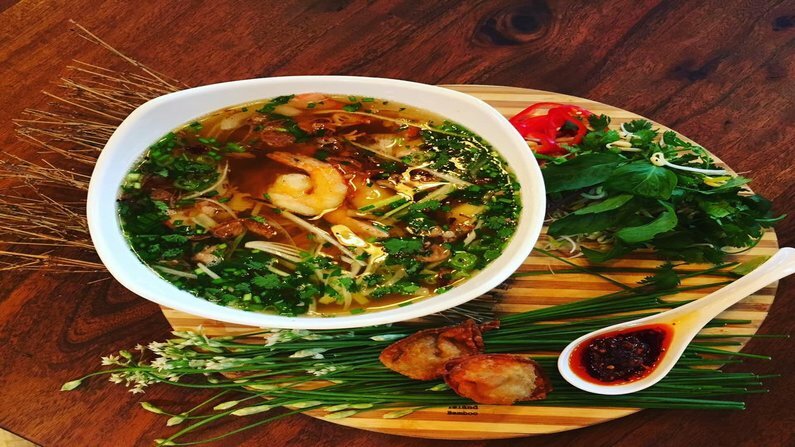 Below are the Top 7 Vietnamese restaurants in NWA. What’s not to like about this delightful Vietnamese restaurant? The food is fresh, delicious, inexpensive and the people are wonderful. You’re certain to find a personal favorite at Miss Saigon Pho’s. There’s plenty of parking and an outdoor seating area. Not a fancy spot, but one that has top notch food all the same. In addition to the Pho (beef noodle soup), you can also get banh mi sandwiches and stir-fried dishes. Great place to take the family for a fresh, nutritious meal. Plenty of parking available. This nicely located Vietnamese restaurant has a new twist on Pho (fuh), you may build your own, but there’s also a number of standard recipes on the menu. The Pho Typhoon is to-die-for as is the Banh Mi bread. SaiWok does an awesome job of serving only the freshest of fresh food regardless of the menu items you choose. Traditional Vietnamese food is delivered with an urban flare, the atmosphere is great, the staff is knowledgeable and friendly and the food is delectable by anyone’s standards. Try the Edamame and the Urban Street Corn. Offering tasty, fresh and hot food with a large menu selection, which includes Pho. Everyone is friendly and knowledgeable and the prices are very reasonable. Try the General Tso’s Chicken, and the Pot Stickers. Note: Photo at top of the page is Mi Fried Pork Wonton from SaiWok in Rogers.